Cinemark Holdings, Inc. (NYSE: CNK), a leader in the motion picture exhibition industry, will open a new 10-screen theatre in Watchung, NJ, on Thursday, April 18. Located at 1670 Route 22 East, the Cinemark theatre will feature heated Luxury Lounger electric recliners in all auditoriums and an XD auditorium. Tickets are now available at www.cinemark.com. A party room available to rent for birthday parties and other celebrations. 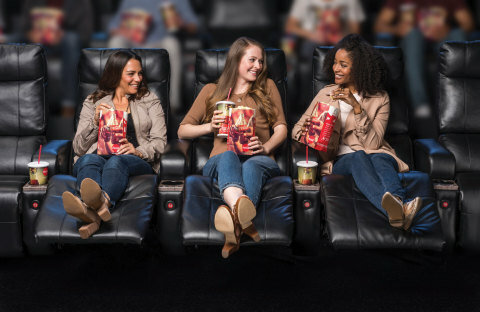 Guests can further enhance their moviegoing experience by signing up for Cinemark Movie Club, the monthly in-theatre membership program for $8.99 per month, plus tax where applicable, which provides exclusive benefits including 20 percent off concessions, rollover and companion tickets, reserved seating and no online fees. For more information about the Movie Club, visit www.cinemark.com/movieclub. Stay connected through Cinemark's social media channels on Facebook, Twitter and Instagram (@Cinemark and #Cinemark). More news and information about Cinemark Holdings, Inc.